Planning to hire a professional carpet cleaning service? Before you even begin contacting carpet cleaning professionals in your area, it’s important that you know certain terms associated with carpet cleaning. Carpets are made up of fibers. There are hundreds of carpet fibers to choose from. However, consider the life, softness, color, cost and maintenance of a carpet in order to select the best one. Most carpets are made of synthetic fibers, such as polyester, nylon and olefin. Natural fibers include cotton, wool and silk. 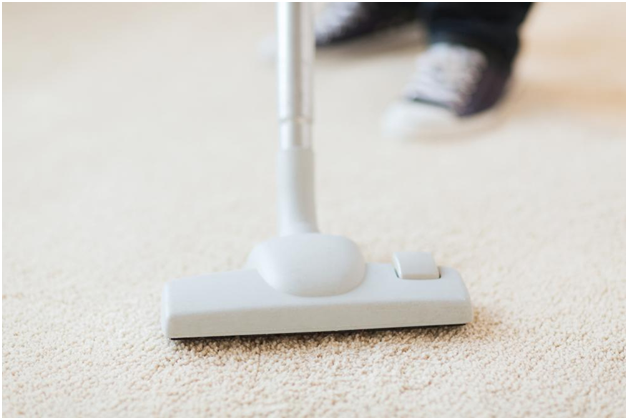 The build-up of dirt, dust, grime and bacteria in carpet fibers leads to soiling. Regular vacuuming and cleaning can help keep soiling under control. Blooming is when carpet fibers untwist. Blooming may occur due to multiple reasons, such as improper cleaning, maintenance or general wear and tear. Hot water extraction is a carpet cleaning process. It involves removing dust, dirt, grime and germs from the deepest fibers. Carpets are rinsed with green cleaning solutions and then they undergo a turbo-drying process. Padding is a carpet cushion. It’s placed between the carpet and sub floor. Padding improves the overall appearance, life and quality of carpets. When stains reappear after having been treated, they look brown. Browning occurs due to rise of older stains that were not properly cleaned. Booster is added to a carpet cleaning solution to increase its strength. It also helps to remove to remove tough stains. When carpet fibers are bent, the carpet reveals signs of crushing. In order to prevent your carpet from crushing, invest in regular cleaning and maintenance and use firm padding below the carpet. Last but not least, when a carpet is not rinsed properly, it causes rapid resoling. Green carpet cleaning refers to the use of non-toxic, naturally-sourced safe cleaning agents. Green cleaning products are gentle and do not damage carpet fibers. Most importantly, they improve in-door air quality and promote a healthier environment. At Excellence Janitorial Services & Carpet Cleaning, we specialize in green carpet cleaning in Bakersfield. Our extensive experience in carpet cleaning enables us to deliver effective solutions at unbeatable pricing. We use the most advanced cleaning equipment and tools to clean and extend the life of carpets. In addition to carpets, you can also count on us for oriental rug cleaning, upholstery cleaning and more.